This order will executed at the company's manufacturing facility at Bangalore. 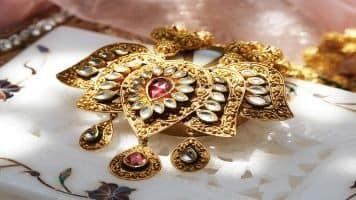 Share prices of Rajesh Exports gained 4 percent intraday Thursday as it has bagged an export order worth Rs 786 crore of designer range of gold and diamond studded jewellery and medallions from UAE. The order is to be completed by October 15, 2016. The company's board meeting will be held on August 10, 2016, to take on record the un-audited results for the quarter ended June 30, 2016 (Q1). At 14:36 hrs Rajesh Exports was quoting at Rs 462, up Rs 12.75, or 2.84 percent on the BSE.